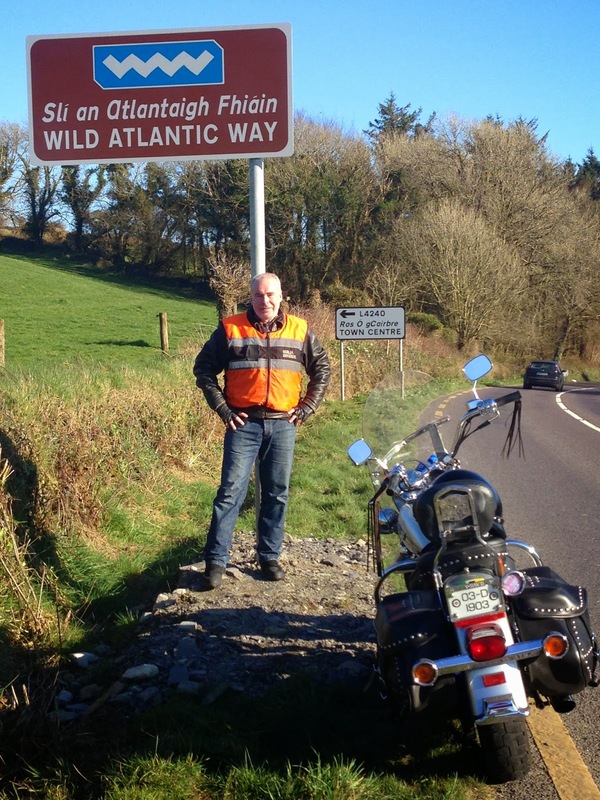 Careful With That Axe, Eugene: The best way to travel the Wild Atlantic Way is on a motorcycle #FirstToDoIT #WildAtlanticWay Eh @ATTADoyle @attastowell? The best way to travel the Wild Atlantic Way is on a motorcycle #FirstToDoIT #WildAtlanticWay Eh @ATTADoyle @attastowell? It's been a while since I posted about the Wild Atlantic Way, I haven't been on parts of it since last August and I miss it. I have kept an eye on Twitter posts (I still keep a feed on Tweetdeck for the #WildAtlanticWay hashtag). Fáilte Ireland have reported a great year for Irish tourism in 2014 and I'm sure the Wild Atlantic Way has contributed hugely to this surge in visitors to this country. Media coverage has also been extensive (even I was interviewed about my book on The Pat Kenny Show on Newstalk and by Ryan Tubridy on 2FM during the summer) with lots of radio and TV coverage. Fáilte Ireland also had a lot of events and even sponsored Bikefest in Killarney this year. Yesterday a tweet by the Google Travel Team (@GoogleTravel), in which they mentioned Chris Doyle (@ATTADoyle) and Shannon Stowell (@attastowell) of The Adventure Trade Association, was a nice reminder of my own ride around the Wild Atlantic Way. Chris and Shannon travelled by motorcycle for 10 days. While I was interested in the sights and stories of each location, they spent a lot of time rock climbing, diving, surfing, canoeing, and getting muddy. They also had one of those helmet camera thingies with which they got nice video shots of our coastline. It's clear they had a camera and support team to help them - I just had myself. 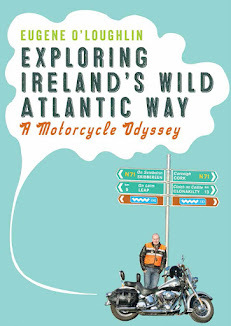 Like me they spent 10 days on the 2,500 kilometre trip, and I'm sure they would agree with me that the best way to get around the Wild Atlantic Way is on a motorcycle. It's too long for cycling in one go, and in a car it is a lot harder to get though the many towns and villages (try Castlegregory on market day! ).